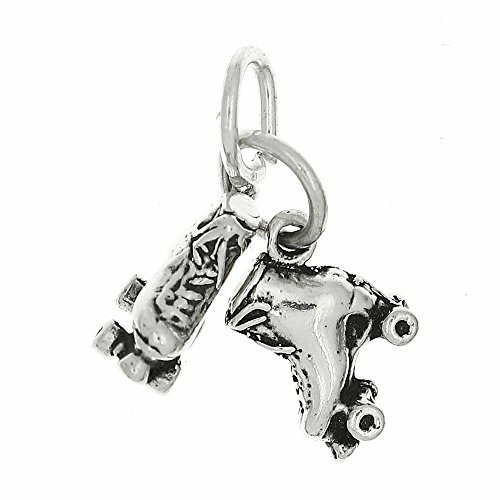 This is a three dimensional pair of roller skates charm. This is a traditional style charm that has been oxidized (darkened). This charm is perfect for a theme based charm bracelet or small necklace. This charm does not fit European style bracelets. Please recheck the measurement size of the charm as some charms can be smaller or larger than expected. Please inquire through the message board for large quantity purchases. If you do not inquire first for large quantity purchases your order will not be processed. If you have any questions about this product by Lgu, contact us by completing and submitting the form below. If you are looking for a specif part number, please include it with your message.